Stephen Colbert is on a mission to Russia. 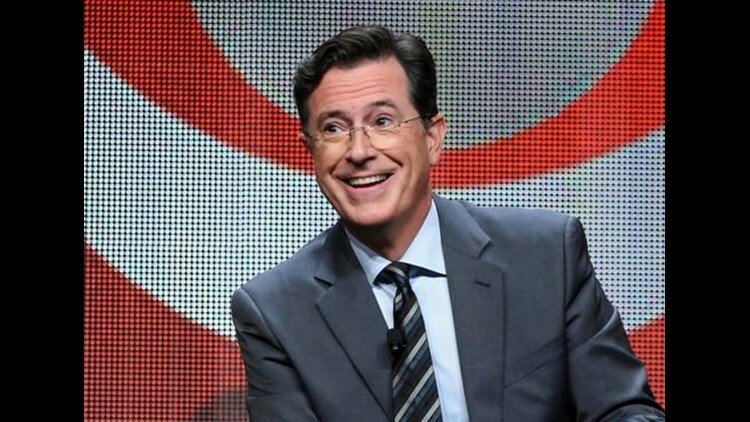 LOS ANGELES (AP) — Stephen Colbert is on a mission to Russia. The host of CBS' "The Late Show" is on assignment there for a future broadcast, the network said Thursday. Colbert, whose steady political wisecracks have been accompanied by a rise in his ratings, wasted no time in taking a dig at President Donald Trump over the possibility of tapes involving fired FBI Director James Comey. "Don't worry, Mr. President. I'm in Russia. If the "tapes" exist, I'll bring you back a copy!" Colbert tweeted. His message came after Trump said on Twitter that he has no recordings of his private conversations with Comey, despite an earlier suggestion that they might exist. Colbert also posted a photo of himself wearing a trench coat and in front of a grand building that appeared to be the Winter Palace in St. Petersburg. A CBS spokeswoman said she had no information on where Colbert was visiting or how the material he was gathering in Russia would be used.